We’re happy to announce Business Support Services Northwest, LLC / ProFound Impact has joined the Anacortes Chamber of Commerce. We look forward to getting to know our fellow chamber members, members of the community and doing our part to support the efforts of this terrific city! In case you didn’t know … Anacortes, WA, is located in Skagit County, west of Mount Vernon’s tulip fields, on the shores of the Pacific ocean. This charming, historical coastal town has a thriving business community comprised of many locally-owned companies and is a MUST for anyone’s ‘travel bucket lists’. Given its proximity and ferry service to popular tourist destinations like the San Juan Islands and Victoria, B.C. 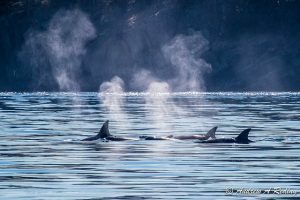 Canada, travel writer and photographer, Marissa Pedersen explains why she thinks, “… Anacortes is the Perfect Northwest Gateway”. Learn more about Anacortes, WA, its businesses and community at Anacortes.org. ProFound Impact is a division of Business Support Services Northwest, LLC based in Bellingham, WA. Proudly providing Bookkeeping, Payroll and Business Consulting services to North Puget Sound companies in Snohomish, Skagit, Island and Whatcom Counties, for over 30 years.